If you're like us, then you most likely have tons and tons of apps installed on your smartphone or tablet. And sometimes, digging through the applications drawer only to find the app you need can be a bit time-consuming. 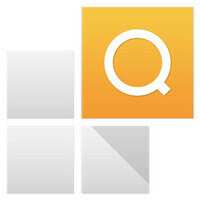 That's where Quad Drawer comes into play - a new app by the same folks who brought us Beautiful Widgets. Meant to serve as a replacement for the Android app drawer, Quad Drawer allows the user to search through all installed apps. Typing just the first few letters of the needed application's name is usually enough to get to it. In addition, Quad Drawer lets one change how the selection of applications is displayed – by name, by usage, or by install date. And for those who aren't happy with the standard grid icon layout, a list interface a la Windows Phone is available as well. If Quad Drawer seems like something you might use, go check it out over at the Google Play store. The application is currently priced at $0.99. Exactly. Another PA hack who cannot use android. How many articles are you gonna start with " If you are anything like us...." ? I NEVER agree with the dribble that follows. Only a complete fool installs so much crap on their phone that they cannot access it. Only an Android newbie uses the main app drawer. I find the Xperia's stock drawer better. Why should everything free in the Play store? It's just the developer decission, but I actually prefer to have both as for one dollar I prefer to pay and not have adds. Meh, I tried it doe 5 minutes the I got my refund back. I prefer the one that come with TW. I just categorize my app drawer via ADW launcher EX If I need to search for an app I start typing in my persistent google search bar, voila.